Jeff Glucker August 10, 2018 Comment Now! The first one was built to show that they could do it. A customer pre-ordered the second one and optioned it as they saw fit. 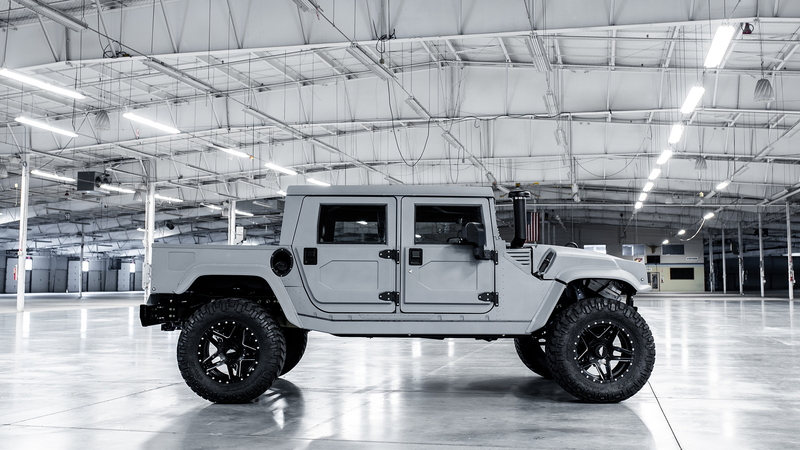 Now Mil-Spec has built a third example of its rebooted Hummer H1, and Launch Edition #003 is currently listed for sale with an asking price of $239,000. 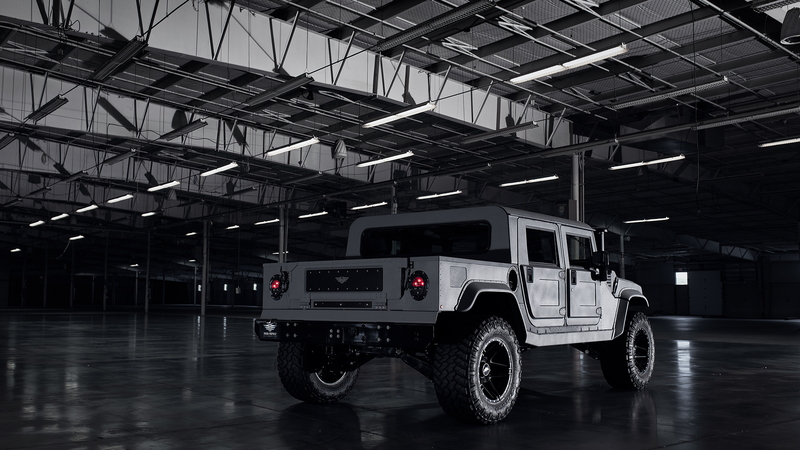 Mil-Spec has produced its latest restored and modified Hummer H1 as a way to show what a minimalist spec would look like. This one isn't packing every option in the book, and it's built upon a basic four-door pickup body style. This actually makes it our favorite of all three trucks that Mil-Spec has built do date. The Afterburner Gray paint scheme looks excellent, especially against the black trim pieces. We'd swap in a more simple wheel set but keep everything else basically the same. 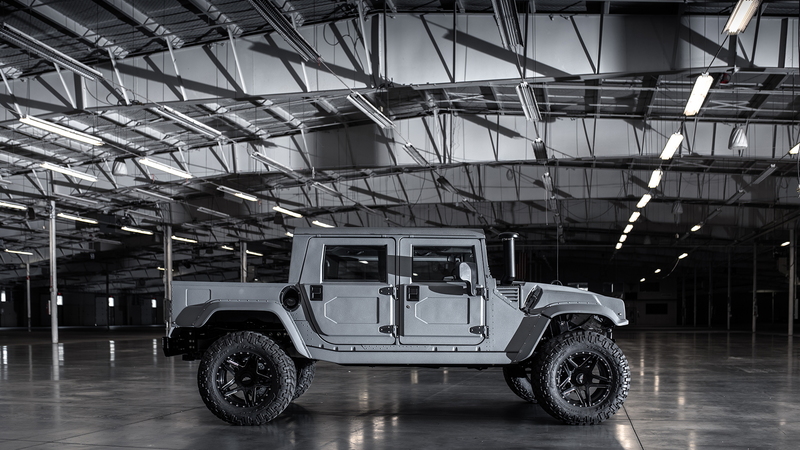 Not that we're in the market for a $239,000 restomodded H1. If we were, it would be this one. Mil-Spec has included the Bold Body and Tire Package, which adds seven inches to the width of the body and eight inches to the track width. That certainly makes for a more aggressive stance. All of the emblems have been deleted as well, though Mil-Spec charges you $499 to do so. How very Porsche of them. Actually, even Porsche won't charge you to remove the emblems. Finally, there's a Bumper Pull Tow package included on #003. It features a mounted two-inch ball hitch as well as the appropriate electrical connections you want from a modern towing rig. There's no word on what engine powers this one but we can only hope it's the same setup Mil-Spec used on its #001 vehicle. That beast is powered by a 6.6-liter Duramax turbodiesel V-8 producing 500 horsepower and a mammoth 1,000 pound-feet of torque. That's proper road-bashing, compound-storming, H1 power right there.